The U.S. Commodity Futures Trading Commission (CFTC) has entered into a court case that could determine if it has the authority to regulate cryptocurrencies. Reuters reported on Wednesday that the CFTC had sued Randall Crater’s tech company and the cryptocurrency My Big Coin in January. According to the article, Crater’s lawyers have said the CFTC does not have any authority on the cryptocurrency because it is not a commodity where future contracts are traded, which is what the commission focuses on regulating. 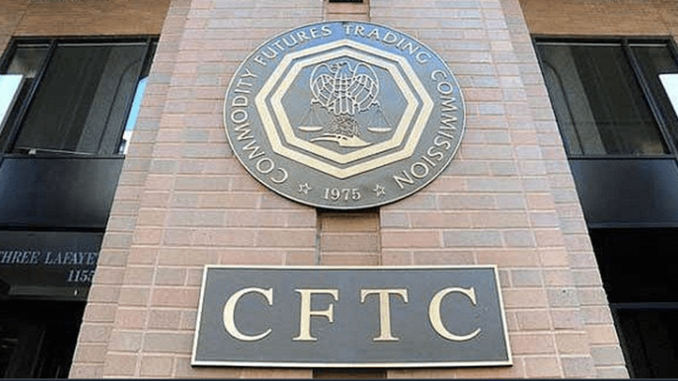 Gregory Kaufman, a lawyer at the Eversheds Sutherland law firm, has said that the final decision of the case “would have a chilling effect on the CFTC’s application of its powers in this area,” if the ruling was against the CFTC. The decision could affect its ability to police cryptocurrency frauds, as the only cryptocurrency where future contracts are traded in the US is Bitcoin (BTC), according to Reuters. Reuters raises the question over cryptocurrency frauds and what regulators could have jurisdiction over them. Neal Kumar, a lawyer at the law firm Willkie Farr & Gallagher, has suggested that Crater may still lose the case, as the Commodity Exchange Act defines services as commodities when they could have future contracts in the future, not only if they have them right now. Arguments of the case are set to be heard in Boston by US District Judge Rya Zobel on Thursday. A total of eight cases relating to cryptocurrency have been announced by the CFTC, so far. The ability for commissions similar to the CFTC to regulate and police cryptocurrency still looks like it’s in murky waters. What do you think the ruling from this court case could be?